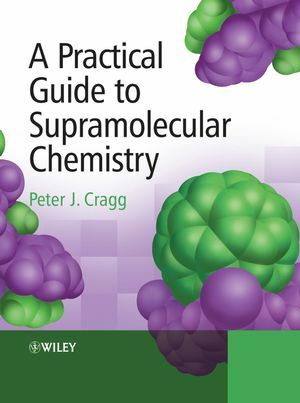 A Practical Guide to Supramolecular Chemistry is an introductory manual of practical experiments for chemists with little or no prior experience of supramolecular chemistry. Syntheses are clearly presented to facilitate the preparation of acyclic and macrocyclic compounds frequently encountered in supramolecular chemistry using straightforward experimental procedures. Many of the compounds can be used to illustrate classic supramolecular phenomena, for which clear directions are given, or may be developed further as part of the reader's own research. The book also describes techniques commonly used in the analysis of supramolecular behaviour, including computational methods, with many detailed examples. An invaluable reference for students and researchers in the field embarking on supramolecular chemistry projects and looking for a 'tried and tested' route into the chemistry of key compounds. An introductory guide to practical syntheses focusing on supramolecular chemistry. A Practical Guide to Supramolecular Chemistry web site This site has been designed to complement the textbook of the same name. The links featured can be used to access the synthetic routes used, coloured versions of figures from the book, FAQs and animated computer simulations.